His name is one every aspiring investor should know. He’s someone every seasoned investor should aspire to be. And he’s one of the most influential people in the world. 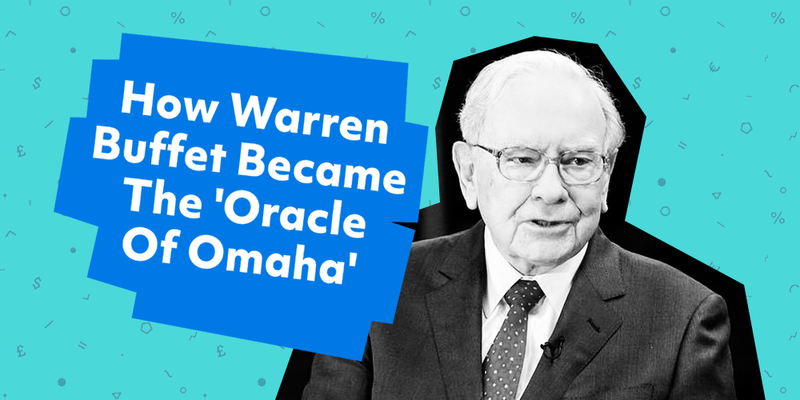 But just how much do you know about the ‘Oracle of Omaha’, Warren Buffett? Born 30 August, 1930 in Omaha, Nebraska to Howard and Leila Buffett, Warren Edward Buffett was perhaps always destined for greatness. His father was a stockbroker, and later a U.S. Congressman, and gave Warren an early introduction to the markets. Aged 10, he made his first visit to the New York Stock Exchange, and by age 11, he had purchased his first stock; three shares of Cities Service for $38 per share. When he sold them at $40 per share, and they subsequently rose in value to $200, he quickly learned a lesson that would serve him well throughout his career – the virtue of patience. From his early teens, Buffett demonstrated a remarkable skill for entrepreneurism, selling chewing gum, Coca-Cola bottles, and magazines. He also made money delivering papers, and selling golf balls and stamps. As a high school sophomore in 1945, he and a friend purchased a pinball machine and placed it in a local barber shop. Soon after, they purchased a few more machines, and placed them in three more barber shops across Omaha. They sold the business later that year to a war veteran for $1,200. 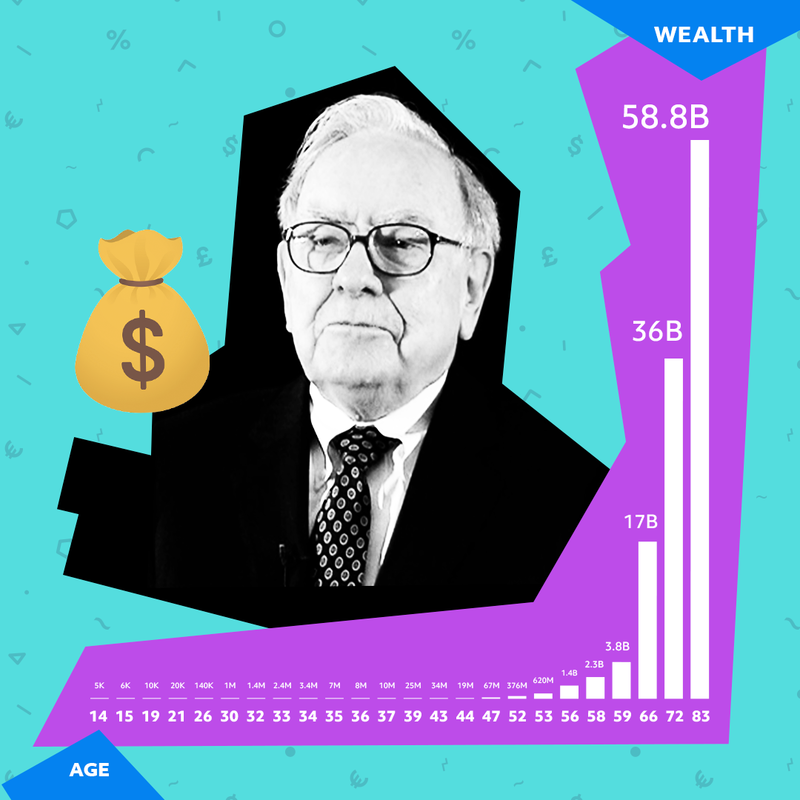 By the time Buffett had finished college – graduating with a business degree from the University of Nebraska – he had accumulated around $9,800 in savings (worth about $103,000 today). In 1950, Buffett was rejected by Harvard Business School. Undeterred, he enrolled at Columbia to study under noted investor – and future mentor – Benjamin Graham. Upon graduating, he returned to Omaha and worked as a stockbroker while taking a Dale Carnegie public speaking course. He used what he learned to teach a night class at the University of Nebraska called “Investment Principles”. He was only 21, and many of his students were twice his age. By 1954, Benjamin Graham offered Buffett a job at his partnership with a starting salary of $12,000 a year. Having left college six years earlier, his personal savings had grown from $9,800 to over $140,000. Graham closed his partnership in 1956, and once again the Buffett family (wife Susan and daughter Susie) returned to Omaha. In May of that year, he created Buffett Associates, Ltd. From this moment on, he would never work for someone else again. In 1959, Warren met Charlie Munger, who would one day become the Vice Chairman of Berkshire Hathaway. By 1962, the Buffett Partnership was worth $7.2 million and the minimum investment was raised from $25,000 to $100,000. In the same year, Warren discovered a textile manufacturing firm by the name of Berkshire Hathaway. It was selling for under eight dollars a share, and so Warren started purchasing stock. By 1963, the Buffett Partnership would become the largest shareholder of the company. A 1964 fraud scandal saw American Express shares fall to $35. Buffett started buying when many others were selling. He also took control of Berkshire Hathaway during ‘64, installing Ken Chace as President. By 1967, Warren Buffett had a personal net worth of $10 million. Meanwhile, American Express had bounced back to $180 a share, making the partnership a profit of $20 million on a $13 million investment. By 1968, the Buffett Partnership was worth $104 million. The following year, it was closed. Buffett liquidated the partnership and transferred its assets – including shares in Berkshire Hathaway – to his partners. At only 39 years old, his personal fortune stood at $25 million. When the 70s began, Warren Buffett owned 29 percent of Berkshire Hathaway. He named himself chairman, and the year marked his first annual letter to its shareholders. Falling stock prices in 1974 saw Warren’s personal wealth more than half, however by 1979, Berkshire was trading at $290 a share, and Warren’s net worth was $140 million. By the end of 1983, Berkshire had a corporate stock portfolio worth $1.3 billion. Shares in the company had risen from $775 to $1,310 a share, and Warren was now worth $620 million. Buffett finally shut Berkshire’s textile mills in 1985. What began as a textile manufacturer was now a multinational conglomerate holding company. By 1986, it was trading at $3,000 a share. In 1988, Buffett began purchasing stock in Coca-Cola, some forty or so years after selling their bottles to make some extra cash. Berkshire would eventually own around seven percent of the company at a cost of $1.02 billion. By 1989, shares in Berkshire had risen from $4,800 to over $8,000. By 1990, Warren was a billionaire. Throughout the 90s and beyond, Berkshire Hathaway has continued to acquire companies and take significant minority holdings in businesses across a range of industries. In 2006, Buffett pledged to give away his entire fortune to charity. He committed 85 percent of his wealth to the Bill and Melinda Gates Foundation. In 2010, he and Gates worked together to form The Giving Pledge, urging other wealthy individuals to support important philanthropic causes. Today, shares in Berkshire Hathaway trade for over $300,000, and the company is the largest financial services provider by revenue in the world. As for the Oracle of Omaha? He boasts an estimated net worth of $84.5 billion. Not bad for a paperboy from Nebraska! In other words, practice makes perfect. Download Invstr today and hone your investment skills by playing Fantasy Finance™. Invest virtual cash, build a portfolio, climb the leaderboard and win real prizes. And when you’re ready, invest for real from as little as $1. Invstr is available from Google Play and the Apple App Store.